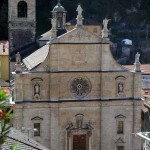 This church dedicated to St Peter and St Stephen is famous for its large Renaissance façade made of Castione stone decorated with a rose window. 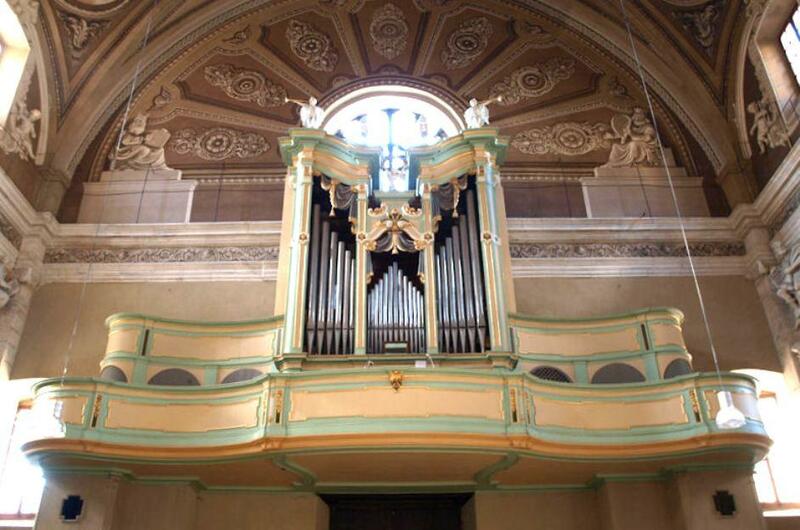 The church also features a fine Baroque interior, the most famous of which is the 5th chapel on the right which features musician angels created by Giuseppe Antonio Felice Orelli in around 1770. 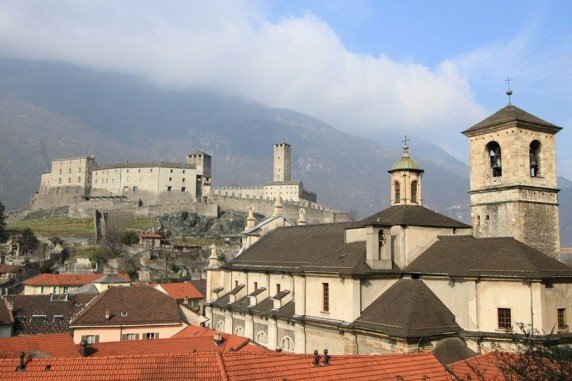 The church takes its name from two earlier religious buildings: the church of San Pietro, mentioned since 1168, close to the Castelgrande, and Santo Stefano attested since 1424 and consecrated in 1473. 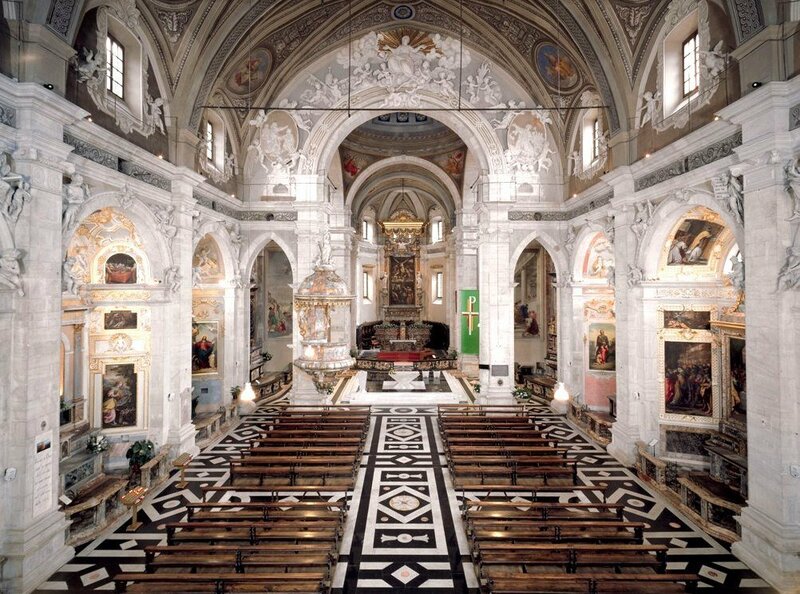 The nave is decorated in a much richer baroque style than the façade which is quite bare. 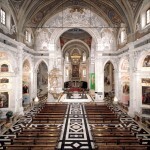 Its pseudo-transept is covered by a dome and ends with an apse of polygonal shape. 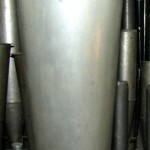 The ceiling of the nave is barrel-vaulted, while the choir is cross-vaulted. 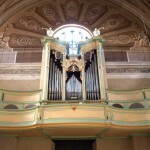 Inside the church are decorations painted by John Airaghi and Federico Boni in the late nineteenth century, but which were later subject to alterations. 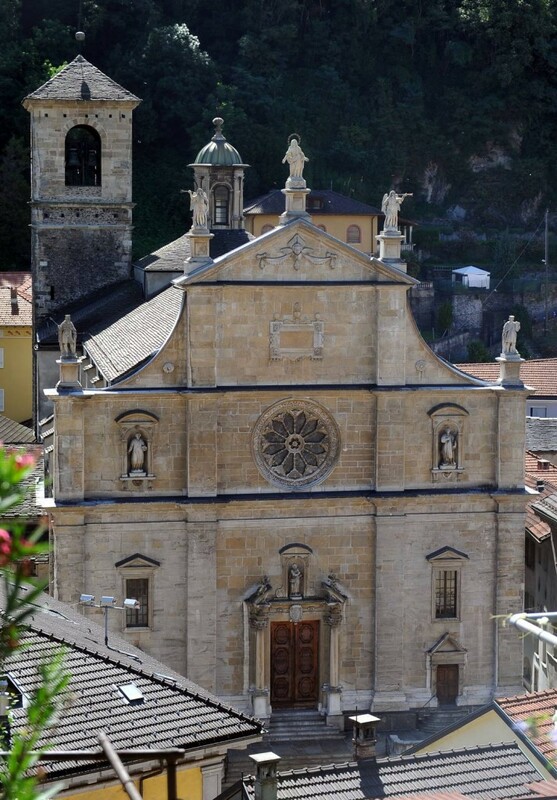 The church was restored three times in the twentieth century: the intervention of 1912 was across the board, that of 1981-1985 focused on the outside, and the one carried out in the nineties, which lasted from 1990 to 1999, focused only on the interior. 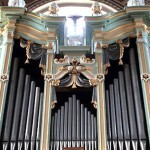 It was built in 1588 by Graziadio Antegnati, the most famous family of organ builders from Brescia; the largest facade pipe is signed and dated 14 November 1588. 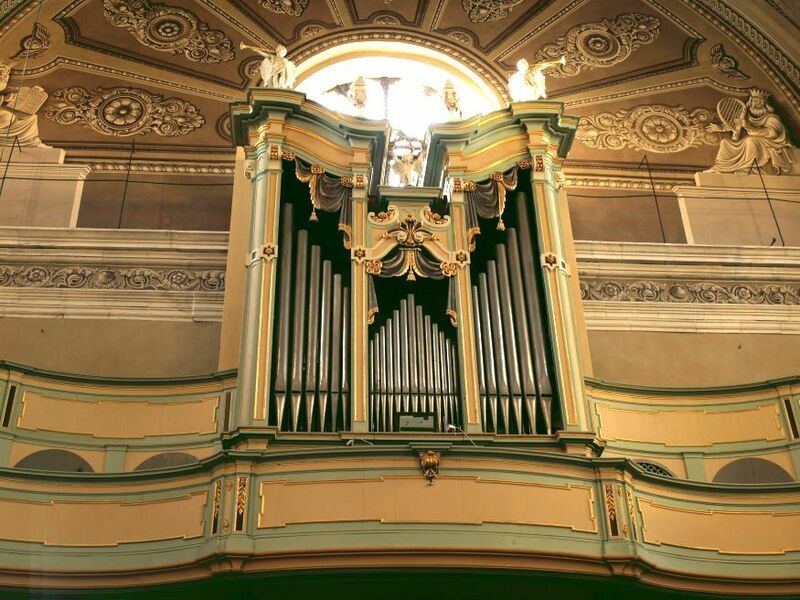 The organ was repeatedly transformed and expanded in the seventeenth and eighteenth century by the most talented organbuilders from Lombardy, without affecting the original structure of the Antegnati. 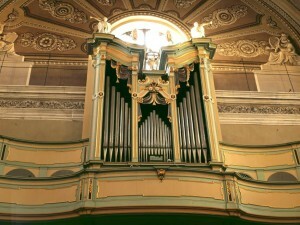 The last work on the organ was performed by Carlo Bossi of Bergamo, in 1810 to 1816. 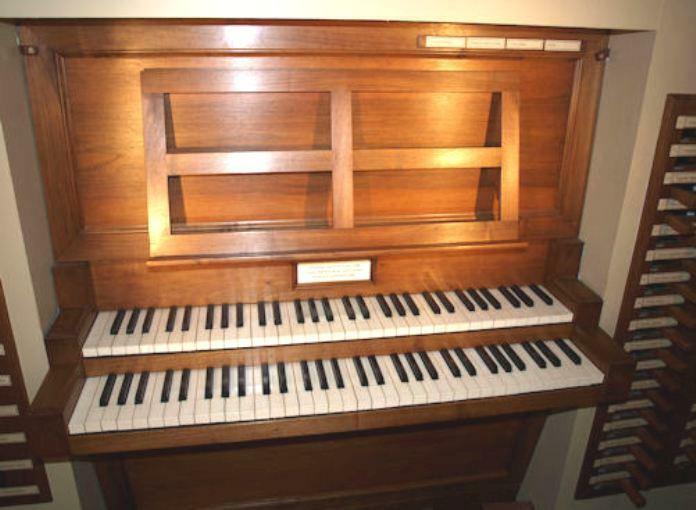 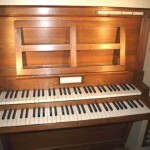 He added a second keyboard (Echo Organ) in response to the First Renaissance Organ already enlarged in 1791-93 by the Chiesa brothers of Lodi-Milan. 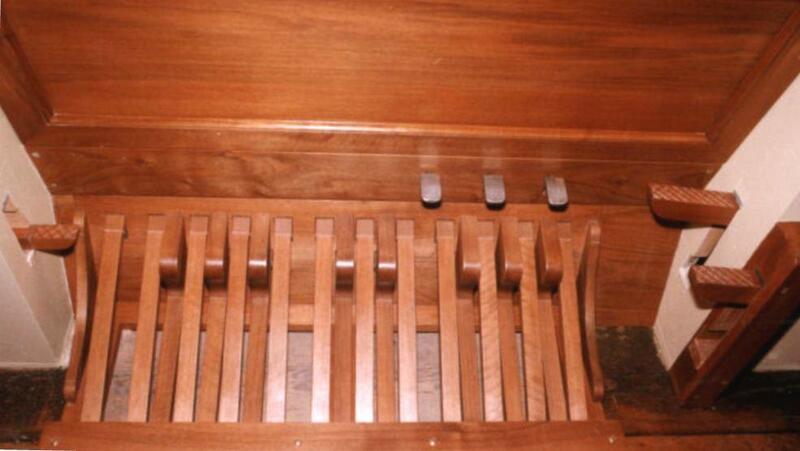 The restoration carried out by our company was accurate in every detail. 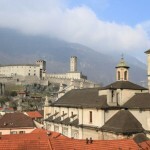 For more information, please, have a look at the Italian page. 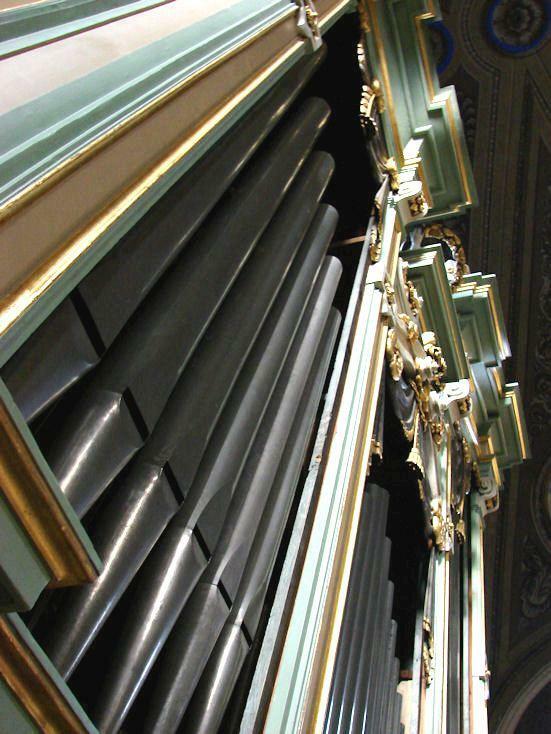 Eco Organ by Carlo Bossi 1810-16, 6′ organ and keyboard of 64 keys C1 – G5 (real from F1), bass-treble division at B2/C3. 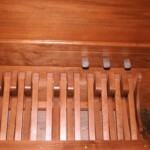 Pedalboard of 20 pedals from C1 to B1 with first octave “short”, the last pedal is the “rollante” (roll drum). 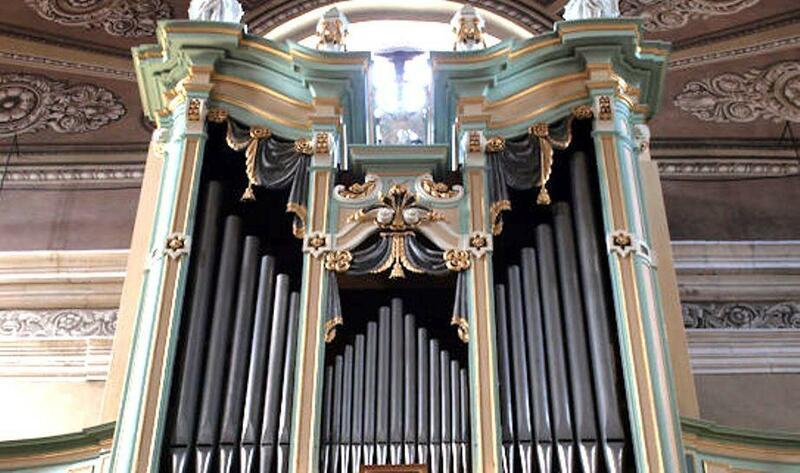 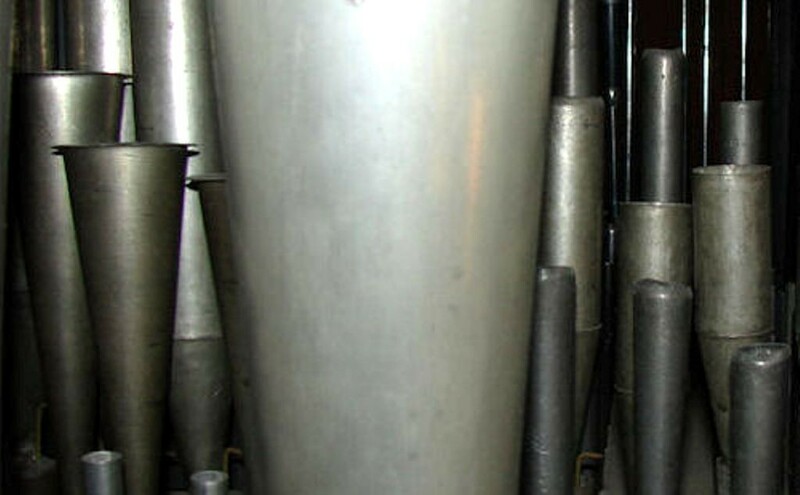 The 24′ Contrabass, added in seventeenth century (W. Hermans school, after 1660) is composed of 10 pipes (8 open and 2 stopped). 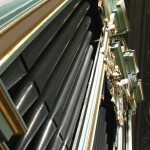 The Tromboni reed stop by P. Chiesa (1793) is a 10 feet stop and it is composed of 12 pipes.